What are the common challenges facing telcos today? With video, social media and mobility to name a few, ensuring bandwidth and accessibility are critical to the telco business right now. The volume of digital traffic continues to grow exponentially, along with customer expectations to have fast, always on connections. And with the onset of Internet of Things (IoT), this trend will only continue and become more pervasive. We now see 5G networks emerging, virtual reality, and virtual presence. In order to keep up with this challenge, telco providers have to accelerate the adoption of 100 GB networks. In the future we’ll have to adopt 400 GB cores. The issue here is that technologies are constantly evolving. Telcos need to balance existing networks while deploying new technologies. This results in significant investment and operational costs. How is FNT helping telcos manage their business? To manage existing operations and new projects, it is important to have network visibility. Having transparency in your IT and network assets is critical and can influence how you plan, build, deploy and manage on a day-to-day basis. FNT offers a portfolio of solutions to inventory network resources and visualize a telco’s assets. This is very important. Interestingly, most telcos do not have an active network inventory; if they do, it is not fully accurate. Oftentimes the inventory is not accessible to all groups that can benefit from it, or certain logical connections may not be documented at all. For example, if you are planning the rollout of an optical network, it is important to ensure your packet network is overlaying on top. It must include spare routes and ways to bring up the maintenance of the optical networks as well. If this is not documented, it can impact service. Having a transparent view of the network makes it easier to identify where one’s responsibility ends and another’s begins. This way, you can quickly understand the root cause of a problem and pinpoint who is responsible for fixing it. Could you give us an idea of the scope of work for some of these projects? Many of these projects are large-scale. For example, we are currently working with a global telco and we anticipate the deployment to last four years. It includes full integration of optical packet transport, mobile access, and mobile core network services that will support ten million customers. Why is FNT Command most suitable for telcos? All of the technologies in a telco’s network must be documented in a centralized system. FNT Command provides a full-featured network documentation suite. It includes synchronization interfaces with network management and auto-discovery systems in order to maintain an accurate snapshot of the network. Interfaces to higher order systems are also included, such as fault management systems and consulting systems to facilitate the integration of FNT Command. It’s all-inclusive. FNT Command provides a powerful software solution that can easily document all aspects of a telco’s network. This is extremely important for planning as well as supporting existing operations and determining root cause analysis. 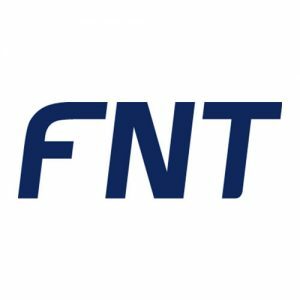 What differentiates FNT from other vendors? We take a multi-vendor, multi-technology approach to documenting your data. Normally, as a big provider, you’ll find many of them documented in a single module. Our synchronization services then document your data within the network resource inventory where it will be kept up to date and synchronized. This is because we can offer a set of adaptors to external systems, which allows us to keep FNT Command data updated. Once the customer’s network resource inventory is synchronized and working in production mode, we can easily add a DCIM module to the solution and bridge the gap between network resource inventory and DCIM. What you’re getting out of this is a state of the art solution – especially for documenting software-defined networks (SDN) and network functions virtualization (NFV). What advice can you offer telcos to improve their network operations? From my experience, telecommunication providers who invest in their network operations will achieve process efficiencies. First, they have to baseline their network assets especially as they grow and evolve, upgrade and decommission critical components. Maintaining an accurate account of your infrastructure will help ensure uptime, reduce troubleshooting, identify root cause analysis, plan for maintenance and upgrades, and most importantly service customers more effectively. Start with documenting location info around the network, fill in equipment and network elements, and then synchronize the services (network layers), including the optical layer, packet layer, and the customer service/mobile service layer. It is also important to integrate your network management system with your network resource inventory and keep it up to date. Networks that straddle geographic territories and countries tend to have disparate and lower quality data. Each country will have its own administration and adopted business processes, thus your network documentation must be flexible enough to manage the information and to provide multi-tenancy support. What do you recommend for telcos to get started? What is the first step? Telcos must first acknowledge they have challenges and then be committed to fixing them. They must understand the pain points which can be facilitated by auditing their network resources. From this they will be able to identify the gaps in their network operations and have the baseline data to develop an improvement plan. Our FNT Command software can play a strategic role in helping telcos create a central repository to track and manage hardware, network elements and services, as well as where they are located and who they serve. It can be integrated with key systems to deliver unprecedented transparency and visibility. What can we expect from telcos in the near future? I’m already starting to see impressive new developments emerging right now. Spectrum such as 5G networks have emerged to provide a stronger supporting core for advanced applications. We’re seeing the adoption of the packet-based and lambda-based IT technology with 400 gigabit cores. The adoption of SDN will provide the ability for telcos to react to network changes quickly and efficiently. Services and installations that once required truck rolls can now be performed remotely from data centers connected via the cloud. Networks today are more intelligent and are getting smarter every day. The Internet will continue to evolve, supporting new applications such as virtual reality, mobile video, machine-to-machine, to name a few. As the Internet makes our cars, homes, office complexes and cities smarter, it will require sophisticated technologies and networks to enable them. This is the future of telecommunication providers and it is not too far away.